Just think for a moment and imagine a life where you had all the tools you needed to achieve your goals, a mindset of growth and opportunities; belief in yourself, control of your life, yourself, your now and your future? And all of these could be done in just a few hours? A Personal Breakthrough Session is a 5-7 hours long coaching session where the Practitioner elicits information from the client by asking questions that are designed to find buried information in the client's mind and get to the core limiting beliefs and unwanted behaviours in the client. In a Personal Breakthrough Session we get to the belief behind the belief behind the main belief that controls and rules the client's life. Once the practitioner has gathered enough information, an unique, tailored made set of interventions are used to change the unwanted behaviours and evolve the client's beliefs about himself and the world. What can I achieve from a Breakthrough Session? We grow thinking that the past has been and gone and nothing can be done to change it, we only have to accept it and move on; hurting forevermore. Likewise, we see the future as a blur and at time unattainable, so close yet so far; and uncertain at worst. Now, we have a different understanding about the past and the future. As society and science evolve we are tapping into new fountains of information. One of these incredible new approaches to evolving the past and creating the future we want, is Quantum Physics and energy. We are made 100% of energy, the Universe is energy, even our thoughts are exchanges of energy; with this in mind and understanding that energy cannot be destroyed only transforms, this opens so many doors as to how we look at yesteryears and the years to come. In Time Line Work, we are able to visit the past, get the learnings from former years, and take the knowledge and skills of today to evolve our memories, beliefs and problems. At the same time, we can, so as long as we understand we create our own future; that there are many futures available to us and we can mould it to our advantage and wants in life. We take our skills from the now and write the future we want the most; or better still we can set our goals in the future and create a plan of action, take into the now and make it happen. Contact me for pricing information. Contact me now and let's make it happen! Modern stress management techniques to bring you to a happy and energised state, and create a more optimistic and congruent outlook in life, enjoying every second and inspiring those around you. In essence we could define NLP as The study of excellence and how to reproduce it (John Grinder), we look at three different aspects or components in NLP. Neuro - looks at the nervous system, which includes the mind and the sensory organs which we use to receive and filter information through our senses. Linguistic - looks at the way we communicate (or miscommunicate at times) and interpret the world around us through language, as well as body language, sounds, feelings, images and words. Programming - Looks at the way we construct our personal 'programmes' of thought, behaviour and communication. NLP works by us using a series of techniques which will enable the client to go from their 'present' or unwanted state to their 'desired' state with the NLP Practitioner guidance. The International Coach Federation says: "Coaching is an ongoing partnership that helps clients produce fulfilling results in their personal and professional lives. Through the process of coaching, clients deepen their learning, improve their performance and enhance their quality of life." Life Coaching - is a professional relationship where I, the Coach, helps you achieve your greatness. Personal Coaching (including Lifestyle Coaching): for anyone who may be lacking in self-motivation and need an external stimulus in order to find their "purpose" in life, and the outcome is based on the client's expressed interests, goals and objectives, which they access themselves. Spiritual Coaching: for individuals who may be looking for a mission greater than themselves, and need some guidance, and helps them to accept their journey in life. Relationship Coaching: focuses in personal partnerships, family relationships, engagement with the community and one-to-one relationships, and how to solve them and maintain harmony in them. Health Coaching (including Stress, Sports & Nutrition): for clients who want to improve their health, fitness and well-being, they will need to look at and address their diet, their exercise, how they look after their bodies and themselves and what their base-life health goals are. Career/Business/Financial: for those who are in a turning point in their lives and struggle to overcome their fears and limiting beliefs; this can be changing jobs, starting their own business or simply improve their finances. EFT is a form of psychological acupressure, based on the same energy meridians used in traditional acupuncture (but without the needles) to treat physical and emotional ailments. EFT works by tapping a series of energy centres, meridians, where the energy flows. When this energy stops flowing, and becomes stagnant, it becomes negative emotions, which manifest as negative feelings, ailments, aches, pains and even diseases. In EFT we believe that every negative emotion manifests in the body as a form of disease. Positive EFT means working with positive energy forms to focus on the NOW and the FUTURE, instead of focusing on the past. It generates powerful positive emotions fast - it makes people happy, feel good, feel strong, feel powerful. Energy EFT - Emotional Freedom Techniques is a wonderfully simple and likewise, immensely profound method to remove blockages to success, health and happiness in our lives and to quite literally, re-energise us so we have the energy, the power, the inspiration we need. In Matrix Reimprinting we get to the root-cause of a memory and change the belief we created about the world and ourselves on that specific memory. Matrix Reimprinting can also be used in phobias, negative memories and to achieve our goals. In CBT, which is more commonly known as a therapy that focuses on the particular way in which we as individuals behave, act and think, in order to successfully deal with our behavioural, emotional and social problems, issues and challenges. CBT focuses on addressing, challenging and changing a person's emotional issues. CBT is suitable for anyone. In the CBT process we can actually help change the thought process, "Cognitive" and what is done -"Behaviour" and therefore its effect on us. This technique uses the best of both NLP and Life Coaching, it is more dynamic as we can identify areas of weakness (by using Life Coaching) in one's self, limiting beliefs that hinder you from achieving your goals, and we are able to address those issues by using NLP techniques, so it requires some level of involvement from the Practitioner's part yet maintaining the accountability on the client. NLP Coaching is ideal for anyone who wants to overcome those "annoying" obstacles and lead the life they always wanted but didn't know they could. 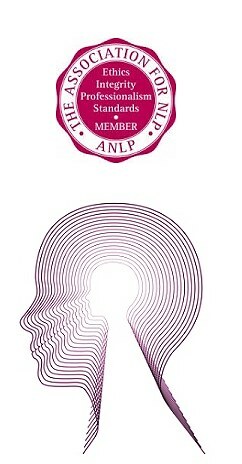 NLP Coaching is a hybrid, a cross between NLP and Life Coaching and takes techniques from both areas to maximise the resources used during the session. The Coach uses open ended questions to challenge the client's thoughts and allow them to come up with the answers themselves, but there are times when the client may get stuck and it is by bringing the NLP techniques in that the client can overcome his negative and limiting beliefs by restructuring his thinking patterns and move forwards in their chosen path. Executive coaching is ideal for those looking for help to facilitate in the professional and personal development, according to the company's expectations, it takes into consideration the staffs weaknesses and strengths and works on those areas that need improving or addressing, this could be personal growth, self-confidence, issues within the organisation, or achieving more in their role. Executive coaching work with clients towards specific professional goals. 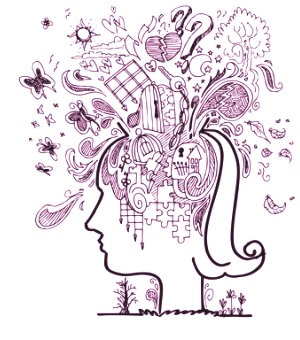 Creative Visualisation uses NLP techniques in order to allow the client live and experience the moment upon completing their goals; changing thoughts and behaviours and ultimately implanting new beliefs into their conscious mind. With the increased demand of the workplace, becoming increasingly more competitive and stressful, I can show you how to improve your performance and that of your team, department or business and head in the direction of your corporate business goals. Internal and external communications (with staff and colleagues, customers, clients and suppliers). For a confidential, no obligations discussion about our in-house and corporate trainings, contact me now.